Hot on the heels of nasi kandar arrive these equally tasty rice dishes. Rice is an important part of Penang’s rich culinary culture. We have it for breakfast, we crave it for lunch and we are quite hungry for it come dinner time. Penang has many variations of rice dishes. 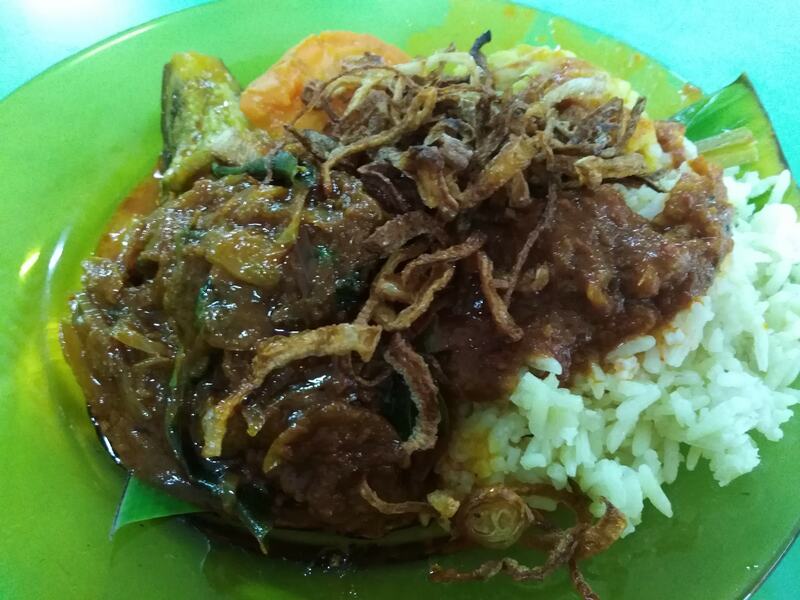 The late Anthony Bourdain may have fallen in love with nasi kandar but did you know that there are other equally delicious rice dishes apart from nasi kandar? Drop everything and dig into these underrepresented rice dishes in Penang. Ask long-time Penangites and they will tell you that nasi dalca is the most celebrated rice dish after nasi kandar. Also known as nasi ganja to the locals, the rice is cooked with lentils, onions, potatoes and carrots and spiced with star anise, cinnamon, and cardamom. It’s savoury, it’s creamy, it’s delicious! This uniquely northern rice dish is usually eaten with various side dishes such as fried chicken, mutton kurma, vegetables and a good dose of kuah dalca. 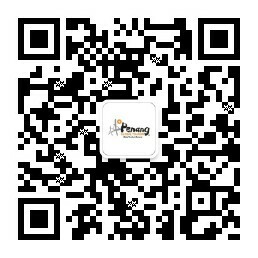 It’s a local favourite you would not want to miss. Cooked in tomato paste, ghee, milk, spices, garlic, onions and ginger, nasi tomato boasts a distinctive aroma and creamy aftertaste. It is often served with an assortment of side dishes such as ayam masak merah, gulai sotong, daging masak hitam and more. An addition that’s highly recommended is the jelatah – thinly sliced cucumbers, pineapples and onions mixed in vinegar for an extra zing! While it is the daintiest rice dish on the list, there’s nothing simple about nasi ulam nyonya, a Peranakan aromatic herbed rice dish. According to Pearly Kee, the author of A Nyonya Inheritance and Pearly’s Nyonya Pantry, preparing nasi ulam nyonya takes time and patience. Fresh ingredients such as lemongrass, torch ginger (bunga kantan), kaffir lime leaves, daun kadok and others are sliced thinly and then tossed with cooked rice. 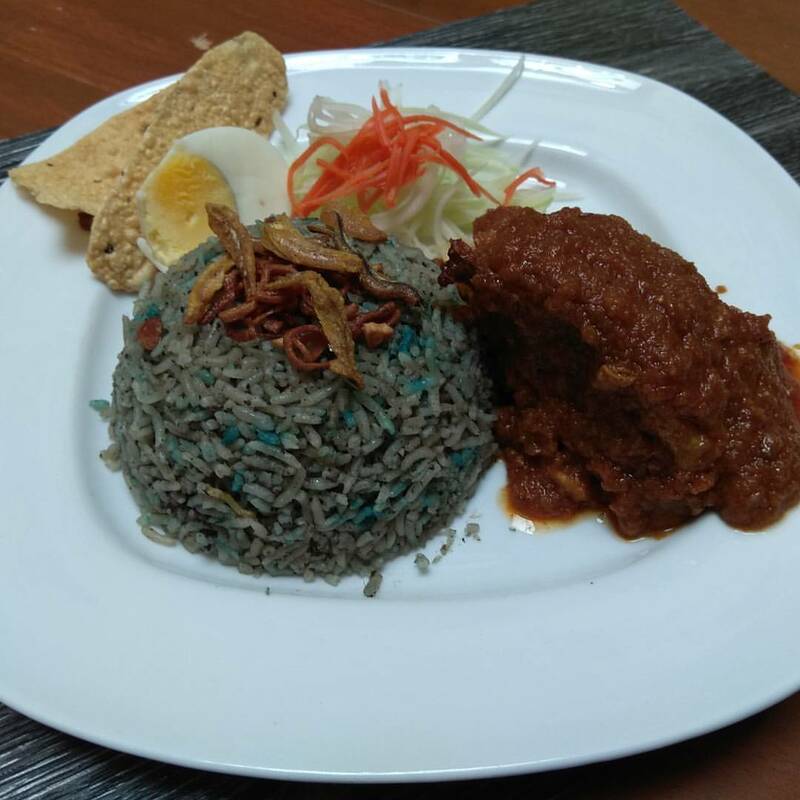 Nasi ulam nyonya used to be a specialty to the Nyonya community during celebratory events such as birthdays or weddings but today, it is on the menu in many Nyonya restaurants in town. 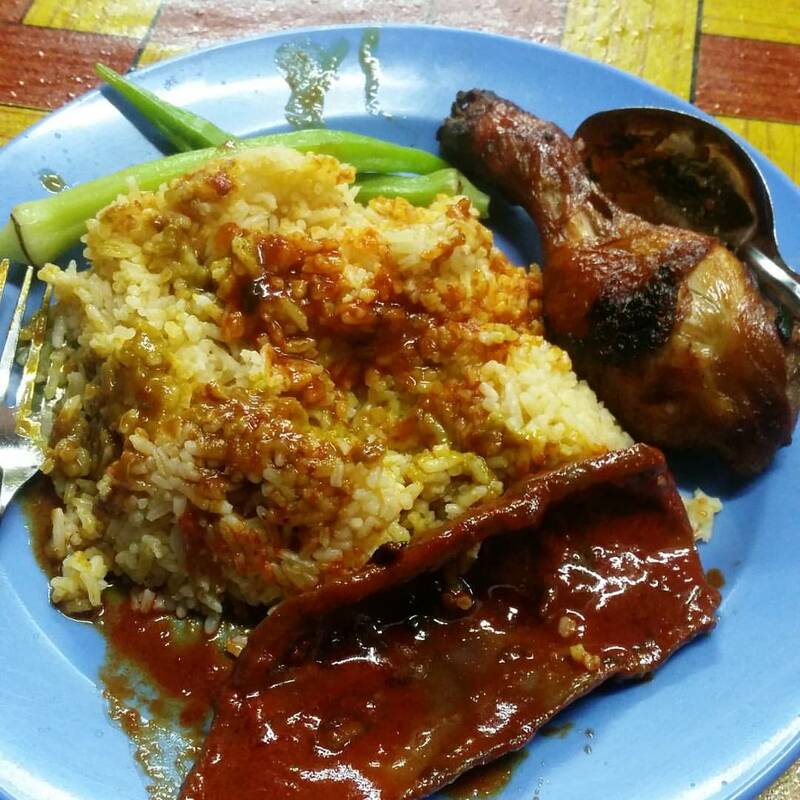 Set down your fork and spoon – nasi melayu is best eaten with hands. There is no specific rule to what makes nasi Melayu what it is – essentially it is white rice with an extensive spread of Malay dishes. Those who prefer a little heat may add gulai ayam, curry fish head and beef rendang to the mix. 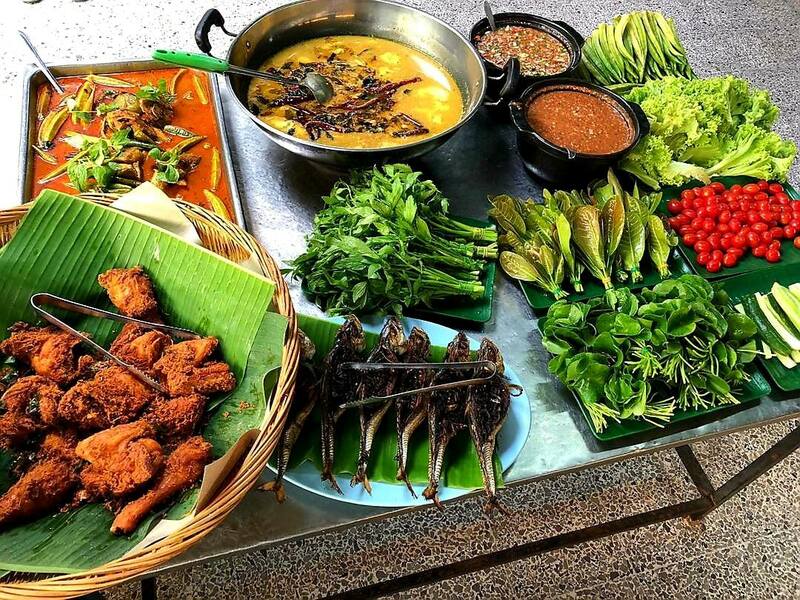 Ulam or fresh vegetables served raw or blanched are the trademark of nasi melayu; there’s usually a vast selection of freshly picked local herbs such as ulam raja, daun cekur, daun selom, pucuk gajus, petai, pegaga and daun kaduk to be eaten with a dollop of freshly made sambal belacan. Grilled fish is often paired with air asam, a condiment made of bird’s eye chilli, onions, diced tomatoes, kerisik, belacan and tamarind juice. Ask any out-of-towner if they have heard of nasi lemuni and chances are the answer is "no". This uniquely northern rice dish is not only delicious, it is also very healthy. According to Chef Nurilkarim Razha from Jawi House Cafe Gallery, nasi lemuni is traditionally eaten as a confinement dish for new mothers in the northern Malay community. It is believed that daun lemuni enhances blood flow, balances hormones and improves one’s digestion. 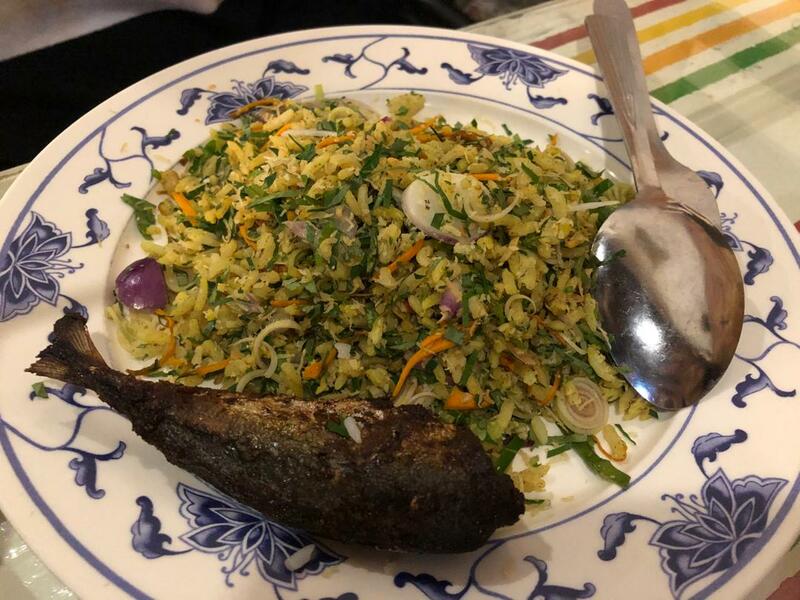 This rice dish is cooked with daun lemuni (Vitex trifolia) and is often accompanied by sambal, fried anchovies, toasted peanuts, hard-boiled eggs and cucumber. Today, one can find nasi lemuni in many Ramadhan bazaars during the fasting month.